Our gastroenterologists offer consultation services for a wide range of common gastrointestinal disorders. A colonoscopy may be recommended when symptoms of digestive disease or other warning signs are present. Endoscopy lets us view the inside lining of your digestive tract for gastrointestinal disease diagnosis and treatment. Expert Medical Care From the Valley’s Leading Gastroenterologists. 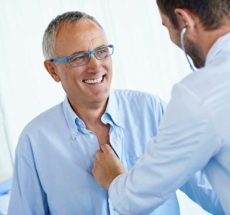 Arizona Gastrointestinal Associates combines state-of-the-art technology with gentle care to provide patients with the best digestive health and endoscopy services possible. We understand that you need experienced gastroenterologists you can trust – people a lot like you. And that’s what our practice is about. We’re your neighbors. As the leading gastroenterologists in Arizona, we are dedicated to providing services in a patient-centered model where success is defined through patient satisfaction and outcomes of evidence-based medicine. We provide thorough communication and education to our patients, and we strive to make it as easy and convenient as possible for you. Our team of experienced gastroenterology professionals looks forward to helping you maintain your best digestive health. A gastroenterologist is a physician who has specialized training and experience in managing diseases of the gastrointestinal tract. 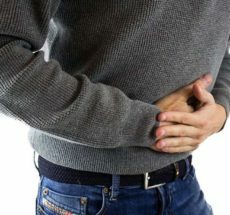 The unique training and experience of a gastroenterologist allows them to provide high-quality, comprehensive care for patients with gastrointestinal conditions. Studies have shown that gastroenterologists perform higher-quality colonoscopies and provide more comprehensive care for gastrointestinal conditions than other physicians. This translates to more accurate detection of polyps and cancer, fewer complications from procedures, less time in the hospital for patients treated by gastrointestinal specialists and overall higher-quality of care for patients with gastrointestinal conditions. Dr Kazi is FANTASTIC. He's kind, thorough, knowledgeable, and patient! He really takes the time to explain your condition and options. I've historically felt rushed in the majority of physicians offices-- not only did I not feel rushed or just like another no name patient on a schedule, but I felt true compassion. What a breath of fresh air! Dr. Fauble is an amazing doctor! He takes the time to listen to you and does not rush you. He is the only one to figure out what was wrong with me and I had been seeing many different doctors! He is ana amazing doctor and I highly recommend him to all of my family and friends! Dr. Ramzan is the best gastroenterologist in Phoenix. I have Crohn’s disease, and he has been taking care of me for over 10 years.